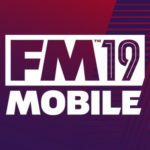 Football Manager 2019 Mobile is now available for iOS and Android devices, and as we mentioned last time, it comes to us courtesy of SEGA, which you may know as the iconic gaming company behind the Sonic the Hedgehog franchise, among others, and for football fans, SEGA Pocket Club Manager. 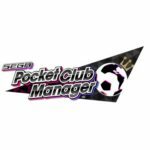 Just like in previous editions of the game on various platforms, Football Manager 2019 Mobile puts you in control of any one of hundreds of clubs from all over the world, with thousands upon thousands of real-life players represented as accurately as possible. Whether you want to start out at the very top with a traditional powerhouse or close to the bottom with a team that’s fighting not to get relegated, it’s all up to you — you are the manager, you are in charge, and it’s your goal to make the board happy, not just through winning records, but also through the right player acquisitions and personnel moves, among other aspects. 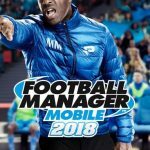 Last time, we got you started out with our Football Manager 2019 Mobile beginner’s guide that discussed the fundamentals of the game, but we’re going to be diving a little deeper now in this Football Manager 2019 Mobile strategy guide, as we discuss tips that you can use when managing your team in matches, adding players via transfer or loan, and simply getting to familiarize yourself even more with the expansive in-game universe that you’ve got at the tip of your fingers. We mentioned this in brief in our Football Manager 2019 Mobile beginner’s guide, but we might as well go ahead and elaborate on this particular feature. By choosing the Club menu and going to Tactics, you can select your default formations and strategies for all given matches. Regardless whether you want to play slow or fast, if you want a defensive focus or an attacking one, and regardless of your chosen late-game strategy, all of this can be changed in the aforementioned screen. However, it is also possible to change your tactics during the match itself in Football Manager Mobile 2019, and we actually recommend that you do this, depending on the situations you may encounter during a match. Want to preserve a slim lead against a tough opponent, especially in the second half or final third of a game? Go to Shape, choose Defensive team mentality and Slow tempo, and make sure you keep your Tackling normal in the Defense section — going for Committed will often result in aggressive play, and subsequently result in fouls and yellow cards that could give your opponent a chance to equalize, or worse, take the lead. You can also activate Time Wasting under Defense so you can increase your chances of maintaining possession and denying your opponent a chance to score. Conversely, you can set your Team Mentality to Attacking, go with a Fast tempo, then choose Shoot on Sight in Final Third under the Attack section if you’re trying to rally from behind. When in doubt, you can opt for the happy medium and keep things Mixed or Balanced in various facets of your tactics. There are benefits and pitfalls alike when it comes to short passes, short Goalkeeper Distribution, and the like; this is a safer way to go in terms of maintaining possession, but also reduces the chances of big plays. Likewise, going long in any given area could allow you to get the ball to the opponent’s half of the field sooner rather than later, but could also result in your opponent stealing the ball and gaining possession as long passes are naturally more dangerous than short-passing attempts. In connection with the first tip, we believe it’s also important at this point that you have a good idea of what’s in it for you when you choose any one of the seven team mentalities. Balanced, of course, is the jack-of-all-trades team mentality — a little bit of attacking, a little bit of defense, the safest way to play, but also the least likely to produce surprisingly good results. Aside from that, almost everything else is arranged in a circle around “Balanced,” starting from the most conservative (Defensive) and working counter-clockwise until the most offensive-oriented (Overload). Defensive, of course, is self-explanatory — you’re not looking to score as much as you’re trying to prevent your opponent from scoring. Contain is best used when you’ve got an opponent using a 4-4-3 formation or something similar; in here, you’re trying to contain the offensive onslaught they can potentially unload on you. Counter refers to counter-attacking; using your defense to set up your attack. Attacking is your standard offensive-oriented mentality, where you’re trying to outscore your opponent, while Overload doubles down on Attacking and allows you to take advantage of your potent offensive weapons, albeit at the expense of your defense more so than Attacking would. The outlier in this circle around Balanced is the Control team mentality, which can be used if you’re trying to maintain possession and, well, control the ball. Most of the time, choosing a default Team Mentality all boils down to personal preference, though if you’re familiar enough to know a real-life club’s strengths and weaknesses, you’ll know that the faster, higher-scoring teams perform best if you use Attack in general, while those that don’t do much scoring but know how to limit their goals against will benefit if you choose Defensive or Contain. Likewise, paying attention to your staff’s scouting reports could allow you to tailor team mentalities for a certain match in particular — go for something attack-oriented if the opponent is using a 5-3-2, 5-4-1, or something similarly defensive-oriented, and shift to a Defensive or Contain or Counter mentality if the opponent’s usual strategy involves at least three or four strikers and/or attacking midfielders. Let’s face it — association football is such a popular sport all over the world, and it’s not expected that everyone will be familiar with every league and every team. Furthermore, even if you know who’s who in your favorite league, it won’t always be easy to plan things out in Football Manager 2019 Mobile. However, one way to make sure you’re on the right track in terms of your in-game tactics is to view the match reports after each match is completed — these can be found under the News tab, and they will show you, at first, an overview with the game’s final score, and what type of win or loss it was — were you lucky to win, unlucky to lose, or did you still achieve a good result by tying your comparatively tough opponent? After clicking on the arrow to view the report, you’ll see a list of positive and negative comments observed during your match, and it’s important that you take note of them, as this will tell you if the strategy you chose is working for you, or whether you need to change things up going forward. Of course, your strategy might not have worked because the opponent you faced was too tough, but going back to the two tips we mentioned earlier, you want to read those comments because these will tell you how effective your default strategy/on-the-fly tactical changes were. If you’re starting out with one of the better teams in the world of association football, you probably won’t have to worry much about signing new players just yet. But at one point or another, you’ll need to beef up your lineup and inject some new blood into it. So how can you assure yourself of the best chance of getting the players you want, or the players your scouts have recommended? When signing players via transfer, simply tap on the Search (magnifying glass) icon, then tap on Scout Results for scout recommendations, Player Search to give you a list of all the available options, and Shortlist for those players you may have set aside for future purchase, say, after the transfer window first closes. Tap on any player whom you want to sign, and you’re all set to bid. The first thing you’ll want to look at is the transfer fee the player’s current club is seeking. The game will immediately recommend a transfer fee to start with, but depending on the negotiating mood, as indicated in the bar near the bottom of the screen, you may want to reduce the amount of the transfer fee, perhaps by about 20 percent if the negotiating mood is around 50 percent, or 25 percent if greater than that. Things could get tricky when the mood is initially at 30 to 50 percent — in such cases, starting with a transfer fee 10 percent less than what is recommended is often as close as you could get to pushing it. If the mood is below 30 percent, you might as well bid as the game recommends, as the player’s mother club simply won’t be that patient when it comes to unsatisfactory offers! After submitting your bid, you may be notified that other teams are also bidding for the player’s services, and that someone else has offered more than what the game had recommended. At this point, you can choose to match or outbid whomever has the highest bid at the present, provided you have enough funds to do so, though in these cases, it’s best to check the alternative options your scout has recommended to you — maybe the negotiations wouldn’t be as intense as they are for the player you’re currently trying to sign? Should you choose to continue bidding, the negotiations will continue until you’ve completely outbid everyone else. The next step is the contract signing, and in order to get there, you’ll need to check the news updates, then click on the window icon on the upper right of the news item that notifies you that you’ve won the bidding. So you’ve won the bidding wars and have a brand-new player ready to join your club and give you a better chance of meeting or exceeding the board’s expectations. That’s not the end of it, though, as you’ll need to come to terms with the player and offer them a contract that satisfies their needs! For starters, would-be signees will have an expected Squad Status and an expected weekly Wage for a certain number of years, as well as a signing-on fee which you’ll need to pay out of your transfer budget. Min. Fee Release refers to the amount of money you’ll need to pay if you decide to release them, while Relegation Release may also be requested by some players — as the term suggests, some players have such a desire to win that they’d want to be released if your club gets relegated to a lower division at season’s end. Again, the 20-25 percent below expectations rule applies with players, specifically with their weekly wages and signing-on fee, should they be patient (50 percent negotiating mood or better) enough. Likewise, reduce this to 10-15 percent below expectations if their mood is, or falls to the 30-50 percent mark, and offer them exactly what they want if mood goes below 30 percent. Last thing you want is for a deal to fall through just because you were too stingy for a would-be signee’s liking! Now this will mostly come in handy when you’re managing lower-division teams, as it won’t be everyday when top-tier players are available to sign as free agents, or as they’re often called in the world of football, free transfers. As you normally would, tap on the magnifying glass icon for Search, then tap on the Player Search option, and you’ll see a list of players which you can sort based on value — tap on Value twice so you can see which players are available via free transfer. When trying to sign a free agent in Football Manager 2019 Mobile, you are bound by the player’s requests, rather than those of his mother club, because naturally, they aren’t signed to any club at the time you’re making the negotiations. The same contract negotiation process we discussed in the above tip will still apply, though this time, you may face opposition from other teams that are bidding for the same free agent and possibly offering better terms. Signing a free agent may look easy, but there are times when it won’t be a walk in the park. Also keep in mind that there are times when board may only allow you to spend so much wages on a free agent. Of course, it wouldn’t be to their liking if you end up overpaying for someone whom they feel isn’t worth the money! The Scouting Agency feature in the Search menu should be ideal to managers who may not be too familiar with the football scene in general, whether as casual, lapsed, or even non-fans of the sport. By navigating through the Scouting Agency sub-menus, you can see a list of the top players in the country where you’re managing or in your in-game world. Simply tap on the button on the bottom of the screen to toggle between National and World view — this applies to the other sub-menus of Scouting Agency as well. By swiping right, you’ll get a list of top Wonderkids, or players 21-years-old or younger with the most potential and best performance at the moment. You can also view the Form Hot List, or the players who are on a hot streak in terms of their average rating, or the Form Cold List, or players who just can’t get it together on the field, as you continue swiping right in the Scouting Agency. All of the aforementioned lists are updated on a monthly basis, so be sure to check back whenever you can! Frequently during the course of a season managing a highly-regarded club, you’ll see other teams, usually from lower divisions, making inquiries about certain players, usually those on your reserve team. These would usually be your younger (21-and-under) players, and unless you’re dealing with a so-called “Wonderkid,” these players aren’t ready for your first team just yet, and just as you may expect from young players, all that training could make them impatient as they hope to see some meaningful action on the field. Since you won’t be able to offer that to them just yet, you might as well loan them out to those clubs that ask about them. We wouldn’t be too fussy about the details here, considering these players’ traditional lack of experience — it’s just important that you give them that chance to show their worth in a situation where they can. Likewise, if you manage a team in a lower division, you can approach better-regarded clubs in the top-tier division and see if they’ve got anyone listed for loan, once again preferably those who are 21 or younger. You’ll need to make sure offer type is set at Loan, choose a duration (preferably till the end of season), and set their weekly wages and, if applicable, a Buy Out fee. Take note that the other club will most likely ask you to pay a certain percentage of that player’s wages in order for them to approve the offer. This could pose a problem if you’re running a team with an especially limited budget, but if you’re patient enough, you should be able to find someone to loan on the cheap and hopefully be a big help in your quest for promotion! And this ends our second strategy guide for Football Manager 2019 Mobile! Stay tuned, as we will share more tips and tricks for the game in the nearest future!